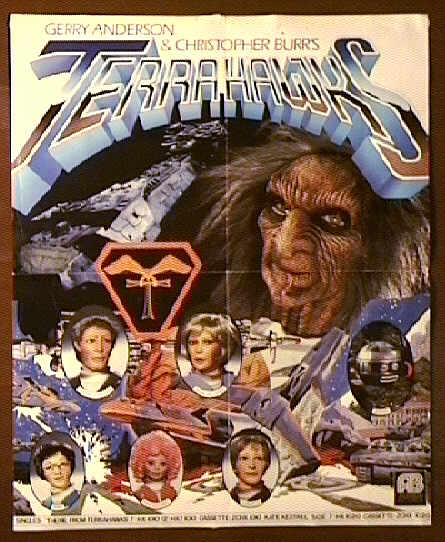 TERRAHAWKS COLLECTABLES, MISC- Promotional poster AB Records. Promotional poster for AB Records. A single sided poster, measures 20*16 inches, advertising the audio records and cassette tapes.